Micromax Mobiles on roll, In recent times they launched many Smartphones in India such as Micromax Canvas Doodle A111, Micromax A115 Canvas 3D & Micromax A72 Canvas VIVA. Today they launched another Android Smartphone for Indian market. 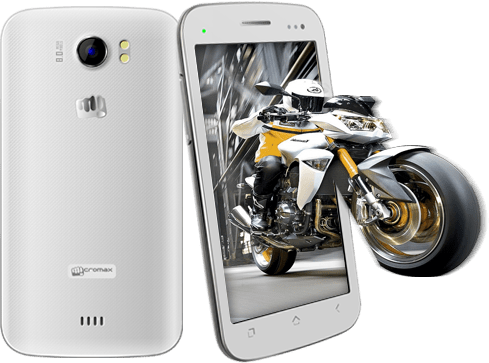 Micromax A110Q Canvas 2 Plus has 1.2 GHz Quad Core, 5-inch IPS Display, 8 MP Primary Camera with dual LED flash and 2 MP Front camera. The phone runs on Android 4.2.1 Jelly Bean. The phone is available in Black & White color and it’s priced at ₹ 12,100 in India. For Connectivity, phone has 3G, Bluetooth 4.0, Wi-Fi, USB 2.0, HSPA and GPS. The Micromax A110Q Canvas 2 Plus comes with 1 GB of RAM, 4 GB NAND flash & 1.4 GB Internal memory for apps and support MicroSD card up to 32 GB.